How to choose the best Long Island moving and storage company. Moving is such an emotional experience, and doing your homework is one important step toward putting your mind at ease. Here is a list of questions and considerations to help you find the best Long Island moving and storage company for your needs. The first thing to do when scheduling your move is to evaluate your needs. Are you downsizing or moving to a larger home? How far are you moving? Will you need to store all or some of your possessions? Take a look at the logistics. How many flights of stairs do you have? Are your doorways narrow? I s your furniture oversized? To get the most accurate price for your move, get an in-house quote. A skilled professional will be able to take note of large pieces of furniture, antiques, pianos or china that will need special handling, the amount of things you have stored in your garage or attic and more. Talk about options such as packing, de-assembling and re-assembling your possessions and more. You’ll not only get a better idea of the costs you’ll incur, but a greater understanding of what services the mover provides that could alleviate some of the burden of moving. It’s a good sign when a mover takes the time to understand your moving needs. Ask for references. Anyone who has ever moved will have a strong opinion about the moving company they used. Understand the coverage you’re entitled to for loss or damage. All licensed movers must provide liability for the value of goods they transport. You’ll want to understand the amount of protection provided and if there are additional charges that may apply. Investigate each moving company. Verify that the moving company is licensed and insured by checking with the Department of Transportation (DOT). Check on possible complaints with your local Better Business Bureau. Please note that some companies with good BBB ratings are poor service providers because unethical companies will often change their name to achieve a better rating. It goes without saying that any company with a poor rating is not worth your consideration. Finally, it is a good idea to arrange for a tour of a perspective company’s facility. You can learn a great deal about how a moving company operates and treats its clients and their belongings by making a personal visit. Ask if they are a broker. Brokers will often turn your job over to an unqualified subcontractor and because they are one step removed from the actual work being performed, brokers do not have the level of control over the services provided that a full-service moving and storage company has. Taking the time to check out each Long Island moving and storage company may seem a daunting task, but it’s well worth it. Verity stands ready to answer any and all your questions. Our commitment to providing our clients with a superior moving experience has been our highest priority for nearly 100 years. We believe you’ll find we pass your every test. Verity Van Lines offers direct moving service to Florida, the Carolinas,Texas, Arizona, California and all points local and nationwide. 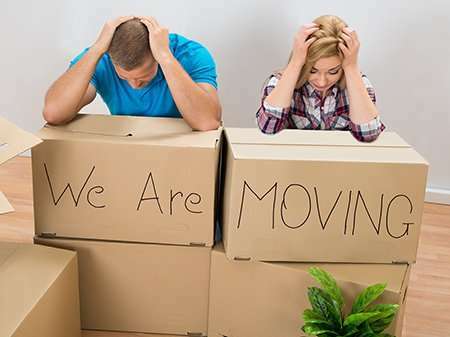 To get started on the road to a stress-free moving experience, call us today at 516-785-7620.